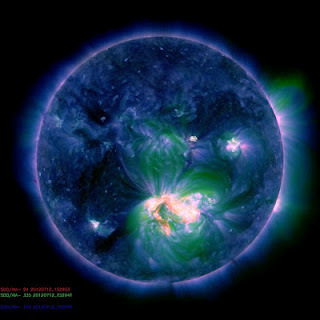 We have a LDE (long duration event) X flare in progress. Starting at a C4.7 @ 16:11 UTC, The X ray flux peaked at a X1.4 @ 16:52 UTC. .This LDE X flare is from Sunspot 1520. Sunspot region 1520 is directly Earth facing today. 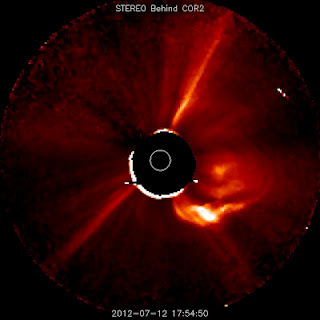 A CME can now be seen on STEREO B. This CME does appear to be earth directed. STEREO A has not updated since 14:24 UTC today.